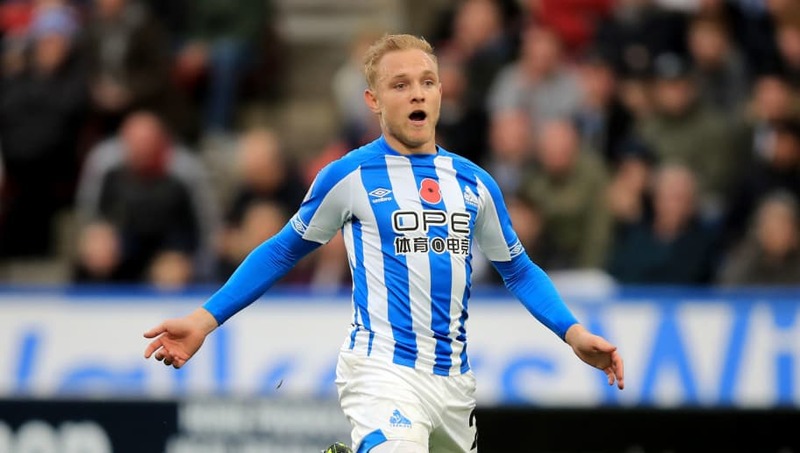 ​Alex Pritchard has emerged as a £15m Wolverhampton Wanderers target following his impressive Premier League form for the Terriers, according to ​The Sun. Nuno Espirito Santo is believed to want to add competition to his forward line and the technical ability Pritchard possesses suits the brand of football he wants to implement. Two wins and a draw from their previous five matches have seen ​Huddersfield Town claw themselves away from the bottom three and up to 12th in the division. The ex-​Tottenham man has been instrumental during that time, often being deployed behind the main striker as the Yorkshire side recovered from their early season wobble. Having signed for Town in a £12m deal from Norwich back in January, the reported sum would garner a profit for David Wagner and his team but whether they would be willing to cash in on a prized asset remains to be seen. The Essex-born attacking midfielder started his career at Tottenham Hotspur, where he made two senior appearances in between loan stints at various other clubs in the Football League. He earned a move to Norwich in 2016, and it was his passing and creativity that prompted Wagner to fork out the big sum to sign the player at the beginning of the year. The acquisition of Pritchard in January provided the necessary spark required as Huddersfield avoided relegation in their first season in the top-flight. This year he has failed to provide any assists for the goal-shy Terriers but his performance against Santo's ​Wolves at Molineux was a particular highlight and seemingly impressed the opposing dugout.